Neurotrance Records proudly presents the first fully-featured studio mini-album by Portuguese DJ and producer atSar (Pedro Trindade): Chapter Zero. This is a remarkable expedition through powerful melodic realms setting out to raise dust and cause mayhem. 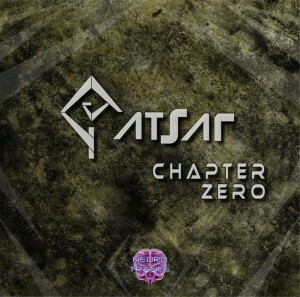 As a highly-experienced act with several tracks out on various artist compilations you can expect to hear hard, kicking psychedelic trance from atSar. Mastered by Erofex with artwork by atSar. MP3 Download | FLAC Download | WAV Download · Download count: 5,405. Неплохое звучание!!!! Дело идет к студийнику, я так понимаю! I really like the composition of the melodies and layers, and the way the tracks develop through many different sections with lots of little details to notice. This isn’t simple music at all, and its dark, detuned sense of romanticism is distinctly ‘neurotrance’. The production isn’t good, though: everything is munged together in the middle and the same detuned saw lead sound is used for the entire release, essentially. Really great talent… Keep it coming…. Great stuff. Track 3 is a huge bomb.